Today’s message is one of the many reasons I love NYC, and the way it expresses itself. 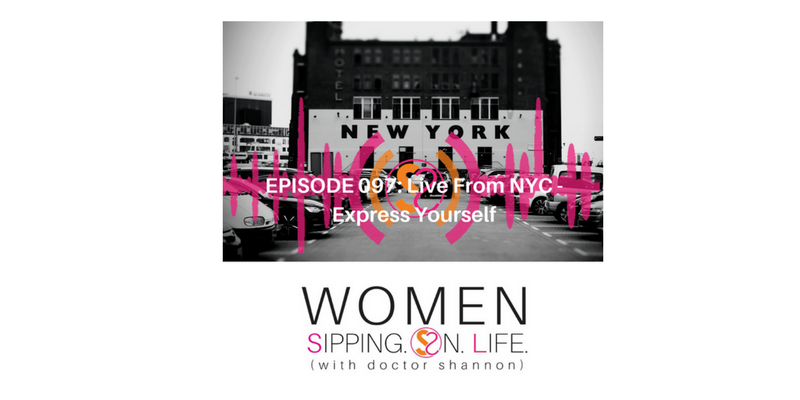 If you ever find yourself having a difficult time speaking up, and allowing your true self to show up and express herself…this episode is especially for YOU! Remember this, anonymity is boring. Are you allowing yourself to be seen and heard? You must have a voice. Write this down: I am (Your Name). Then write down what it means to be you. How are you expressed?